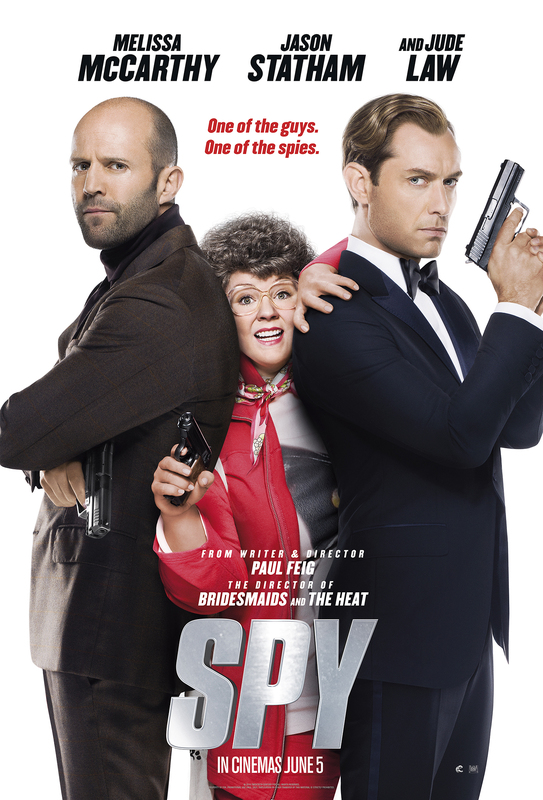 Espionage comedy spoof from the creators of Bridesmaids and The Heat, starring Melissa McCarthy, Jude Law and Jason Statham. 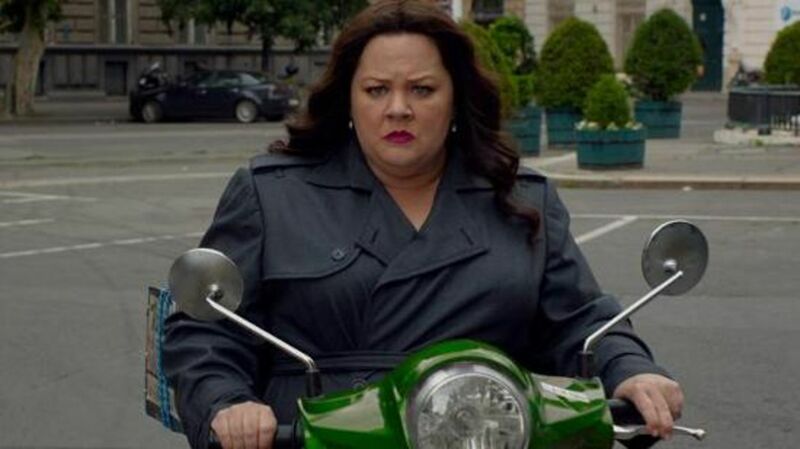 In a story that could well have been from a Bond, Bourne or Bauer thriller, Spy focuses on a madman with a suitcase nuke, threatening to sell it to the highest bidder. When their agents are compromised by the hacking of the central database, the CIA are forced to be creative when it comes to choosing who to send in, rather than the usual ace agents in the shape of Statham and Law. Step forward one Susan “Coop” Cooper, formerly the guiding voice in the ear of Law’s character, Bradley Fine. With a thankfully understated Miranda Hart ably supporting her from a desk in Langley, the sisters are truly doin’ it for themselves as they set about tracking down the elusive bomb, which is now somewhere in eastern Europe. This is one of those rare comedies that is much funnier than the trailer and while you still laugh heartily at the scenes you may have already seen in the lead-up to its release, the film actually saves the best gags, set pieces and one-liners for those who pay to watch it. This single act of restraint shows a touch more class than the usual Hollywood gag factory output, which is altogether much more predictable all round. With Miranda thrown into the mix, McCarthy actually looks graceful most of the time and seeing her in various different haute couture costumes from across Europe is actually affirming, especially when up against some of the outrageous outfits worn by the female villain, Rayna. Played with just the right level of camp bitchery by Rose Byrne, Rayna assumes control of the nuclear weapon and the real fun begins as the chase stretches out across the continent, using various different modes of transport in many different locations. So much, so 007 then .. or is it ? Well, yes it is in the sense that the whole feel of the film is very Fleming. The titles set the tone with a stunning theme song by Ivy Levan and a beautiful animation sequence that would not look out of place on the upcoming SPECTRE. There’s a few gadgets of course, plus the whole Langley complex is exactly like CTU from 24 or the computer system in Person Of Interest, with the ability to track people across the planet. The “other” agents are also well thought out: Fine is very much Roger Moore’s Bond, while Statham’s Rick Ford is textbook Bourne, with just a smidge of Mr Bean for comedy effect. Jason Statham is a revelation in a comic role and steals just about every scene he’s in. He spits out his script and pours scorn on everything Coop tries to do, constantly undermining her with tales of his own exploits. He also swears a lot. And I mean A LOT. 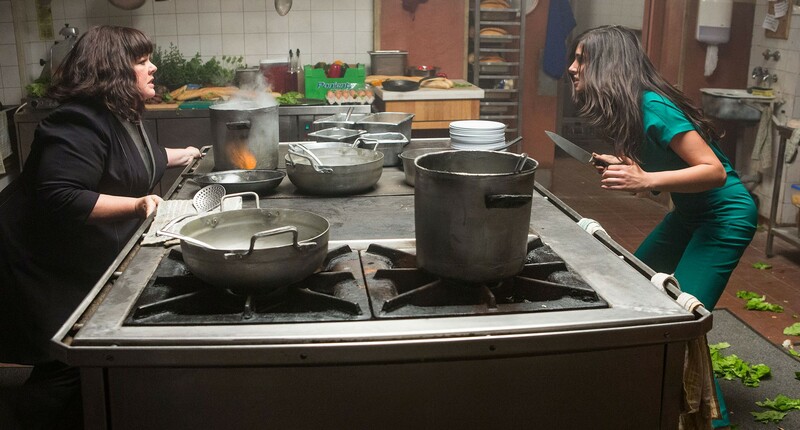 In fact, I would class this as the most “sweary” movie I’ve seen in years. If you can’t handle expletives then AVOID this film. 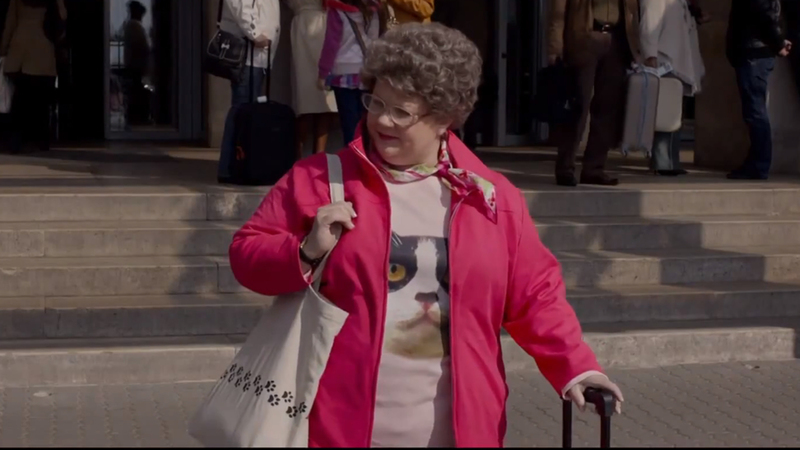 It’s non-stop from the beginning and there is absolutely no let up, no matter how many mumsy cat t-shirts they force McCarthy into .. she gives as good as she gets throughout. That said, I found the script to be very realistic and natural, albeit in a ridiculous comedic setting. Real people talk like that. This isn’t Woody Allen at his peak, nor is it Python’s Brian nor Gilliam’s Brazil, but it IS first class Hollywood comedy that’s aimed slightly higher than the usual lowest common denominator stuff that’s churned out starring Will Ferrell ..
Like last year’s Let’s Be Cops this has had a fairly low-key release which is actually a shame because the movie is beautifully put together with strong production values, an excellent cast, some great – and really funny – performances and that superb script. See it quick because it may not be around for too long, but I hope it is because it’s one of the funniest films I’ve seen for a while. This entry was posted in blogging, Media, Movies, Opinion piece, Review and tagged 007, bauer, bond, bourne, bridesmaids, comedy, critique, daniel craig, espionage, farce, film, funny, gadgets, hollywood, jason statham, jude law, melissa mccarthy, movie, review, roger moore, sean connery, spy, the heat, thriller by rigger67. Bookmark the permalink.